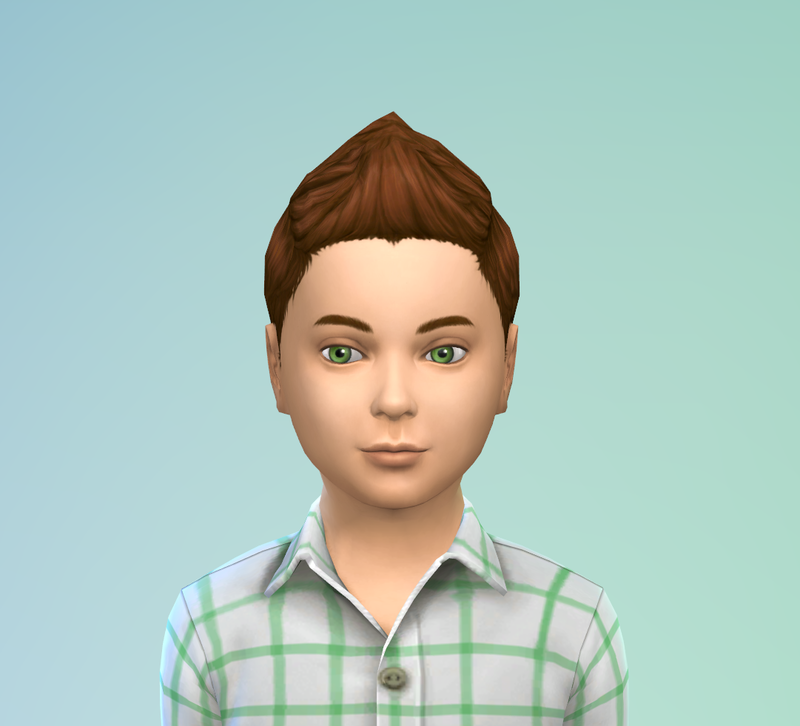 He didn’t inherit much from his parents in terms of traits, but he totally got his Daddy’s eyebrows and blue eyes and his Mum’s hair color. He also half-closed his eyes right when I snapped this pic, it actually sums up his “I’m too cool for you” attitude perfectly! She also didn’t inherit much in terms of traits from her parents, but she definitely got Mum’s lips and hair. I actually don’t see much of her Dad in her except her eye color. 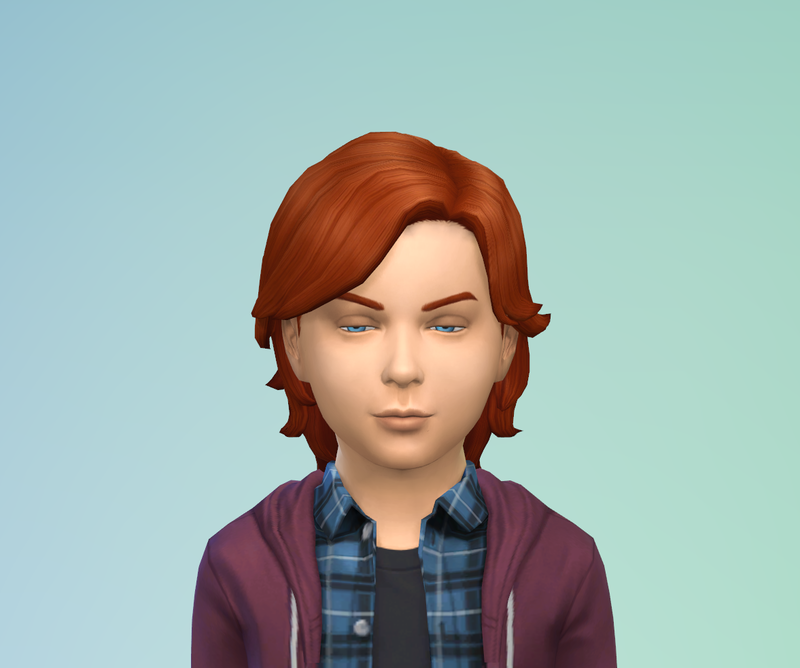 Alroy did inherit his genius trait from his father who he looks just like except he has Mum’s eye color. I’m glad at least 1 child has green eyes. 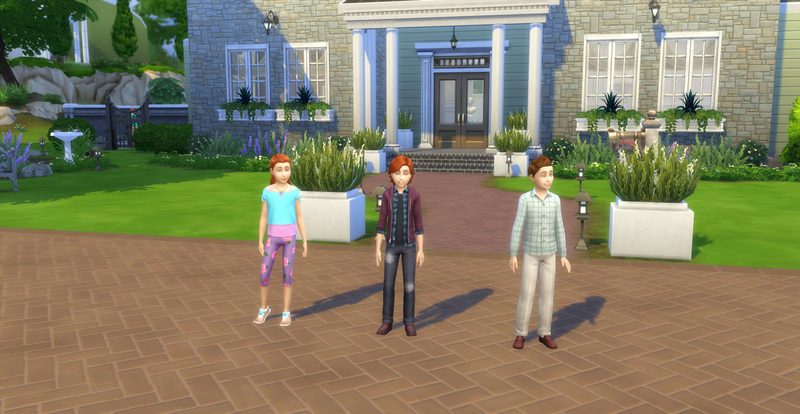 All three Gen “A” children outside their new mansion! They are each adorable! Aiden seems like a handful, Arwen has exquisite features (love those lips) and I also love Alroy’s green eyes and whiz kid look. 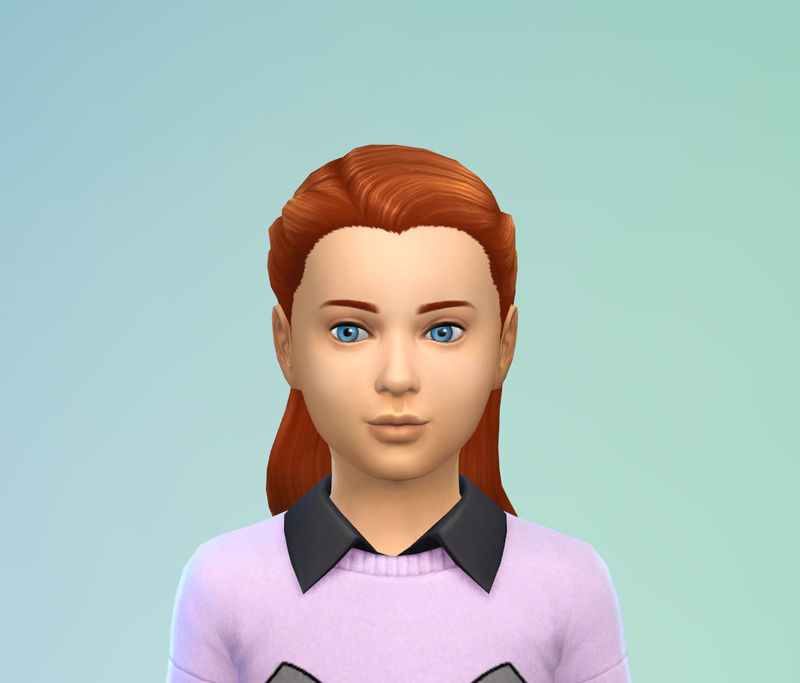 You also got two out of three with red hair– is red hair recessive in Sims 4 like it was in Sims 2? It is in real life, I have red hair and it would be interesting to see if it is repressive in the future generations of the family.